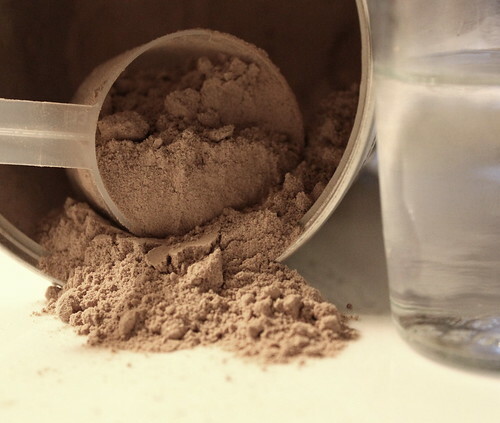 Home Brewed Supplements: Make Your Pre, Intra, and Post Workout Supps From Home! Now, I love my supps as much as the next guy, but they’re not for everybody. Many modern day dietary supplements like concentrated whey protein and pre-workout energy boosters contain refined sugars and flavorings that go right against the healthy lifestyles of their target audience. There are ways around that, though. You can make your own workout supplements that will not only keep you healthy, but will keep you on track to make some great gains as well. It will take a bit of creativity and some specific ingredients, but making your own workout supplements can be fun and rewarding. You can save money, eliminate unneeded calories from your diet, and tailor fit your pre-workout dosages to fit your needs. First we want to take the most popular workout supplements used today, and break them down to their component parts, then rebuild them to fit a clean diet. Coffee is for drinking, right? So what does it have to do with fat burning? I asked myself the very same question and I was curious to find out what effects green coffee would have on someone, I mean, would it keep me awake all night and give me that chance to exercise I never used during the day? Would it taste at all like coffee and ultimately, would it make me lose weight as the manufacturer claims? So what is Green Coffee Extract and what does it do? Obviously, green coffee is coffee that has not been processed for its normal consumption as a flavoursome drink but left in its natural seed form from which an extract has been produced. The manufacturer doesn’t claim any therapeutic or magical properties for its product but professes that the green coffee extract would have a very high ORAC value (Oxygen Radical Absorbance Capacity) which could help with cellular growth and regeneration. What do reviewers say about the product? Well, according to many reviewers, the pills work and have helped them shed weight. On the other hand, a number of reviews class the product as a scam so I was very intrigued to find out more. Your body needs protein in order to repair and rebuild, and the best proteins contain plenty of amino acids to support growth. Whey protein is sometimes called the ultimate protein due to the large amounts of branched chain amino acids that it contains, and it is one of the two types of protein that come from milk. There are two main types of whey protein available. Whey protein isolate is the purest, as the fat and lactose is removed during processing. Although whey protein concentrate is also very low in fat, it is only around 75% pure protein (while whey protein isolate is over 90% pure protein). If you’re interested in nutrition and bodybuilding, you will most likely already have heard that there are substantial benefits to including any type of whey protein in your regimen. However, you may not know exactly why the branched chain amino acids and other chemicals found in whey protein are often said to be so important. Let’s look at the three main reasons why adding more whey protein to your diet can improve your health. Sometimes, all of us need a little extra help to lose weight. Going on a diet plan and increasing exercise can often help – up to a point. However, it is all too common to find that after losing a few pounds, we stall out and even cutting more calories does no good. If you have hit just such a roadblock, you might want to look into a diet supplement to help you continue losing weight. There are many diet pills on the market, and while some are just ineffective, others are actually unsafe. When you are looking for a safe dietary supplement for weight loss, you can depend on "Applied Nutrition Soft-gels" to help you lose those unwanted pounds without causing you any harm. How Does "Applied Nutrition Natural Fat Burner" Work? "Applied Nutrition Fat Burner Soft-gels" work by harnessing natural ingredients to help you burn off excess calories and rid your body of harmful elements that may been accumulating. Most diet plans call for some detoxification, and these soft-gels contain pomegranate extract to help cleanse your body. It’s no secret that a great many diets fail because you get hungry. When you decide that it is time to lose some weight, there are a whole set of dietary and behavioral patterns already set – you are used to eating a certain amount at a certain time. Not only that, but your body is used to more kinds of foods than are generally allowed on a diet plan. Many diets depend on restricting high caloric foods such as meats, which means that your protein requirements may not be met. The result is that you will feel hungry all the time, and after a couple of days of ‘fasting’ you are ready to pounce on that double cheeseburger and fries. "Nature’s Way Metabolic ReSet" recognizes that the demands of your hunger must be met if you are going to succeed with dieting, and this product has been designed specifically to make sure that you do not feel hungry while on your program. "Nature’s Way" is available in vanilla, strawberry, or chocolate flavors. If you are someone who is including fasting in your weight loss regimen, you might find that going without food for a day or two is much easier when you drink "Yogi Fasting Herbal Tea". This blend of herbs has been designed to suppress your appetite so that you will be better able to go without your normal meals. Understanding how a lack of food can cause problems with energy, Yogi had packed some essential ingredients into easy-to-use bags to not only keep you from feeling hungry, but also to get you an energy lift. Going without food for a short period can help your body detoxify and assist with the digestive functions, too. There are several factors to be considered when you are fasting – feeling hungry and feeling run down. Food, after all, is the fuel that our body uses for energy, a weight problem arises when we take in too much fuel, fuel that cannot be burned up, and so will have to be stored as fat. Every day people around the world struggle with weight loss. Each individual is unique and has their own problems and pit falls to overcome. For some, exercise works beautifully. Others need a little help. That little help usually shows itself in the form of a diet pill. Diet pills have gained huge popularity. They all take a different approach to helping burn calories. And some are just fraudulent. So how do I know which one to take? One of the slim pills I researched lately is SlimZil. As society grew, so did the way we ate our food. Convenience is key. It’s easy to run to the grocery store, drive-thru, and gas stations to purchase our foods. But those foods are often processed and combined with preservatives and other chemicals to keep our groceries tasting fresh and great. As a result, I often don’t take in enough fibers and essential components that’s needed for my daily diet. This can cause a slow digestive system, backing up my insides that causes a sort of clog in the plumbing. Applied Nutrition’s Dual Action Cleanse makes claims to remove those clogs. Dual action cleanse combines a potent array of herbs and minerals to help clear out the digestive system. It acts as a sort of plumbing snake to help speed up the digestive tract and push that extra waist out. The extra built up toxins and free radicals are then removed from our system, helping trim my waist line and increase energy. The bonus Green Tea Fat Burner is a simple pill full of green tea extract. Green Tea extract is known, and in many cases, proven to help raise the metabolism to burn fat. Green Tea also helps remove toxins from the blood stream. When you are trying to lose weight, you will also want to keep your energy level high. I know it can be hard to balance the two – often cutting back on calories means that you just don’t have the get up and go you used to have. Fortunately, Life Smart Labs Acai Berry Juice capsules can help you to achieve both those goals. You’ll find that not only will you have the energy you need for daily living, but you’ll also be able to lose weight, too. I think Life Smart Labs Acai capsules could be just the perfect complement to your weight loss program. What Is Life Smart Labs Acai Berry Juice About? Life Smart Labs Acai capsules help to boost your rate of metabolism, which will make it much easier for you to lose weight. Your body will simply burn more calories than it did previously, resulting in weight loss. Besides this benefit, these capsules will also provide you with additional energy and stamina, to help you get through the longest, most trying day. Often, dieting can result in a loss of your usual energy level, but Life Smart Labs Acai capsules will help bridge the gap, so you will be able to carry on as usual. While the quite slim, completely naked, and disturbingly breastless woman on the cover of the box can be quite convincing, the jury is still out on the real life effectiveness of Jimpness Beauty Fatloss Capsules. The makers of Jimpness Beauty Fatloss Capsules claim that if taken once a day, their supplement can help with weight loss. This weight loss aid is supposed to stave off hunger and increase energy.